California officials were trying Monday to solve a stinky mystery: A die-off has left hundreds of fish floating in a recently restored lagoon on the tiny Malibu coast. 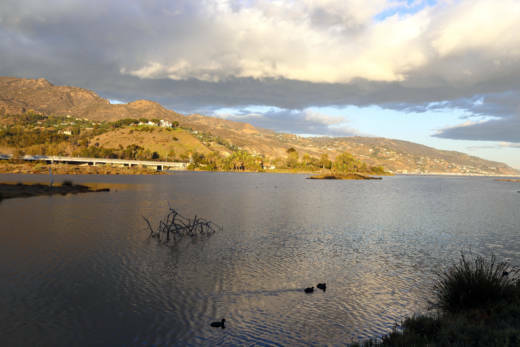 Scientists believe the Malibu Lagoon die-off, which began last Wednesday, is likely caused by unusually warm water temperatures, said Craig Sap, superintendent of California State Parks’ Angeles District. “We had many days in a row of warmer-than-usual temperatures. We hadn’t had much of a breeze down there to keep the temperatures down,” Sap said. Resident Wendy Dunn told KTLA that State Parks ignored plans for so-called breach points that would allow the lagoon water to mix with fresh ocean water to keep proper oxygen levels.